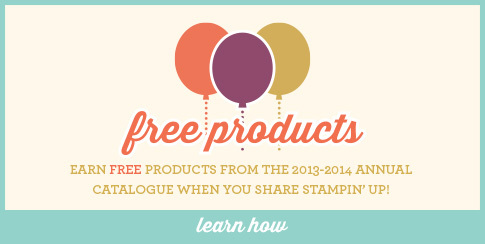 For every £45 that you spend in any current Stampin’ Up! catalogue you will be able to select one free product from the Sale-a-bration brochure.. If you spend £90 you will be able to select 2 FREE products, if you spend £150 you will be able to select 3 FREE products and receive and additional £25 of products from any current catalogue. This offer of free products is in addition to any hostess benefits that you entitled too.